It’s beginning to look a lot like the holiday season! 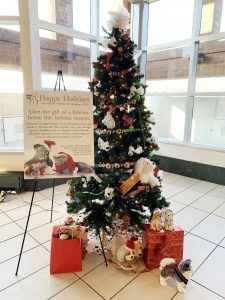 Help Willamette Humane Society win $2,000 this holiday season by voting for our tree down at Salem Center Mall. Just text “GIVE4” to 444222 once a day until December 17! Hint! You might first need to opt-in for Salem Center’s text alerts! Simply text SALEM to 444222, and then text GIVE4 to vote. Click here for more information. Each text message counts as a vote, and the local non-profit with the most votes wins. Please note that text and data rates may apply. Your votes make helping more local pets possible. And be sure to share with friends and family.